When it comes to spring dressing, color is key! And one brand that definitely gets it right is Ted Baker. I’ve always admired the brand’s use of geometric patterns and prints and their love of bold colors - two things that are definitely up my alley when it comes to my own personal style. This spring, I’m definitely all about these vibrant hues and here’s an outfit I put together to showcase my favorite shades of blue. I paired a slick pair of teal trousers with a bomber in a darker shade of bright blue, and a pair of lowcut sneakers in a navy suede. I chose a patterned yellow crewneck to copmliment the blue tones in this outfit and break up the monochrome look with a pop of color. 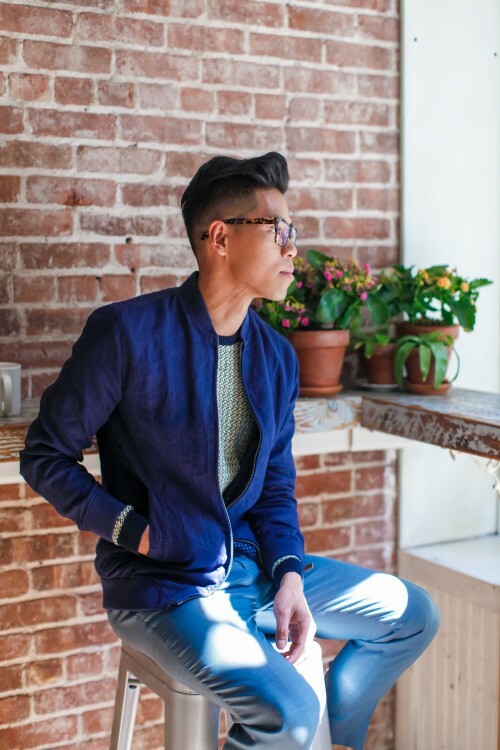 If you’re looking to refresh your wardrobe’s color palette this spring, then check out the selection at Ted Baker. From May 7th - May 8th, Ted Baker’s kicking off their Spring Customer Event across all Ted Baker US & Canada stores and online where you can shop the collection at 20% off. In addition, Ted stores will be offering artisanal drinks, complimentary gifts, and an in-store DJ from 6pm - 8pm so definitely stop in to your local store for #Teds20. 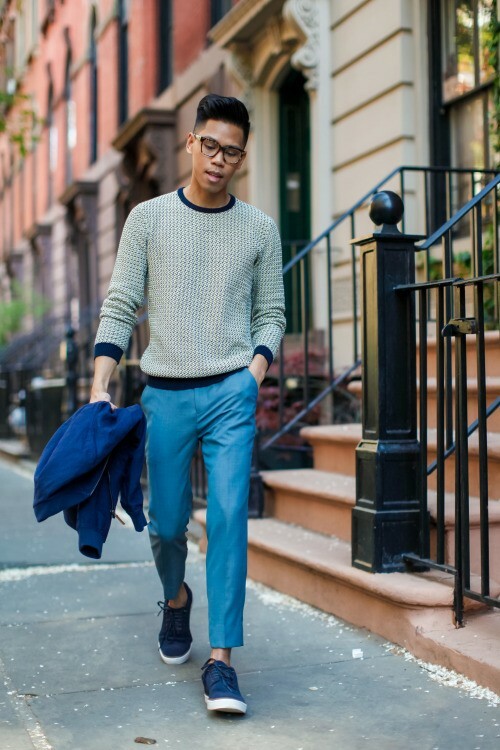 One Dapper Street brightens up for spring with a subtle animal print and fitted chinos.